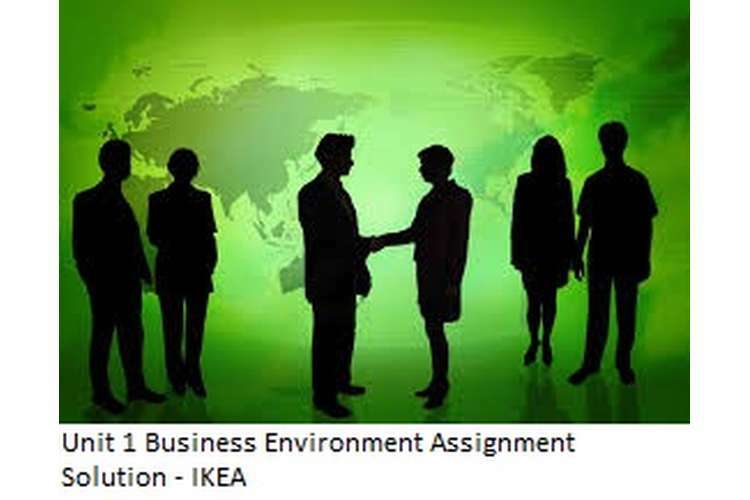 This report explains different types of business and environment in which they operate. Business Environment includes micro and macro environment. Micro environment includes factors like competitors, suppliers, stakeholders, investors, customers etc and macro environment includes economic environment, technological environment, and cultural environment etc factors. This report also provides a comparison between a profit making organisation and non profit making organisation in the context of their functions, organisational structure, objectives and their scope. a) Functional Organisational Structure: under this structure departments are divided on the basis of functions like sales department, production department etc. Subordinate workers of these departments make report to their departmental head who then report to the top level. The powers are also distributed in the same hierarchy. Thus under this structure functions are directly connected with organisational structure and objective because every department work to achieve organisational goal (Andrejovská, A. & Bánociová, A. 2014). Under functional organisation structure subordinates are managed by experienced personal that has speciality in the same field and company will also receive advantage of such expertise knowledge. It also allows individuals in increasing their knowledge through sharing. But this structure has some drawbacks like:one functional department having difficulty in working with other departments for the same objective, this structure can also create competitive environment in the organisation between different departments. b) Divisional Organisational Structure: In this organisation structure function of business is divided as a particular division or branch on the basis of geographical, market, product or service group. Each division contains a complete set of function. Each division has its own head that carries all function to achieve organisational objectives. This structure allows divisions to focus on a particular product or service with a leader. But divisional organisational structure may invite office politics rather than strategic thinking which shares and provide view over achieving organisational objectives. c) Matrix Structure: Some organisation adopts matrix structure which is more flexible than any other. Under this each employee works in a function based department such as marketing or human resources and they will have to work under a team on a particular projects. The team contains employees from different functional area. This is mixture of functional organisational structure and divisional organisational structure. Mostly organisations adopt this structure because of the changing organisational needs. Matrix organisational structure helps in developing strong communication system by efficient exchange of information. Departments work together and communicate with each other to solve issues. This information exchange before decisions increases employee’s motivation and morale. But this structure brings internal complexity means employees sometimes confused about his supervisor to whom he had to report. It is very expensive organisational structure (Andrejovská, A. & Bánociová, A. 2014). So, these organisational structures have their own benefits and losses. Business organisation should adopt one of these organisational structures as per their objectives and working profile. P4) some positive and negative impacts of the macro environment on the business operations. Political and legal factors: Political and legal factors include change in the government activities and changes in the legal policies and regulations. Political and legal factors affect marketing decisions of the company. For example government provide subsidy or low rate of taxation of retailer business then it impact positively on the marketing decisions of the organisation. Political forces include possibility of election and the possible outcomes whether environment will peaceful or there will be chances of political transition. Economic Factors: Economic factors are broad in range it is the mixture of national and international environment. Business organisations are working under complex economic environment which affects both the decisions related with organisation’s production and consumer decision making process. Environmental Factors: Every organisation use some natural resources for its business such as forests, agricultural products, sea products etc there are some non renewal resources used by the business organisation. Organisation should take decision after considering the availability of these resources. Technological Factors: These factors include new technologies, skills and knowledge required for production of goods or services. These technology and materials needed for the production are also impact the business decisions of the organisation (Andrejovská, A. & Bánociová, A. 2014). Social and cultural forces: Social and cultural factors includes target customers of the organisation, changing in their taste and preferences, customers attitudes and values etc these factors change the business organisation’s demand and supply. If business produces goods as per customer taste and preferences than it affects organisation positively. “IKEA” faces these macro environmental factors. Big and major changes in the macro environment factors are usually outside the control of business so it is necessary that management of the company should be able to analyse the effect of these factors so they could make good decisions. These effects are analysis by implementing PESTEL analysis method. P5) Conduct internal and external analysis of specific organisations in order to identify strength and weakness. 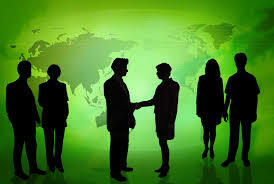 External environment factors and internal environment factors affects the business organisation. Before making any business decision internal and external analysis should be conducted because environment in which business operates is an important part of planning. With the help of internal and external analysis organisation can identify their strength and weaknesses and plan their activities accordingly. Analysis of economic factors whether there is any change in interest rate, inflation rate and inflation rate. Analysis of technological factors shows changes required in the existing technology by updating them or replacing them with new one. Analysis of legal environment helps in identifying change in legal regulations related with any special act, changes in duties and taxation policies. Cultural and social analysis helps in identifying current trends, lifestyles, fashions and other components of culture. Strength: Strengths includes special features or characteristics of the business organisation. Biggest and most important strength of an organisation is clarity in its vision which is earning profit and satisfies customers irrespective of the market conditions. Company can measure its strength by applying key performance indicators (Pandey, A. 2013). Weakness: weaknesses are those factors on which company has to do more work so that it can improve its capacity and capability. For example IKEA operates its business in different countries so its weakness is that it is difficult to follow control standards of across all locations. P6) Strengths and weaknesses interrelate with external macro factors. Economic Factors: Economic factors include change in interest rate, inflation rate exchange rate in the market. If business organisation is financially viable it has sufficient financial resources than changing in these rate will not affect the pricing and marketing strategy of the organisation. Company should always ready to face the challenges arises due to change in economic factors. Political and legal factors: Political and legal factors includes legal rules and regulations and policies. Changes in these legal policies affect the company to face these legal challenges company should have expertise and specialised staff. Social and cultural: To face the challenge of changing social and cultural factors. A business organisation should have good staff, viable financial resources and natural resources. Company should have strength of fulfilling consumer taste and preferences as per their demands which are based on their beliefs and value (Jacob, W. 2013). Technological Factors: If company have strength that it can upgrade its existing technology with new technology than company can adopt changes in which comes in technological factors. For this company should have good financial resources. Environmental Factors: Every business organisation use natural resources for providing product and services. For example if company manufactures wooden furniture then it has to follow environmental laws and do not misuse the natural resources. So management of the company should prepare strategies for this and follow all the conducts. Strength and weakness and macro environment factors are related with each other and affect each other. If company fails to identify its strength and weaknesses than it cannot analyse macro environment factors then it fails to formulate strategic plans and tactical plans. Weaknesses will negatively affect the company if the company is not able to fulfil the consumers demand by supplying adequate amount of product than it affects profitability of the company. So, company should regularly make efforts in improving its weaknesses (Gupta, J.L. 2013). PESTEL analysis and SWOT analysis are the business tool use to identify strength, weaknesses, opportunities and threats of the business organisation. PESTEL analysis tool is used by the companies to track and analyse the macro environment in which the company operate. In PESTEL analysis P stands for Political, E stands for Economical, S stands for Social, T stands for Technology, E stands for Environment and L stand for Legal factors. Political Factor: Political analysis helps to identify the political interference in the business industry. This may include government policy, political stability in the national and overseas market, foreign trade policy etc. Economic Factor: Economic factors affect the profitability of the company. Economic factor includes economic growth, interest rates, exchange rates, inflation, and disposal income of consumers and so on. Social Factors: Social and cultural factors includes values, beliefs and attitudes of the customers. These factors affect company directly because changes in customers taste and preferences changes the production policies and demand –supply of the company. Technological factors: Technological factors affect marketing and management in different ways which includes new technology for producing goods and providing services, new ways of distribution channels and so on. Environmental factors: Environmental factors are important to consider due to increase scarcity of natural resources. Legal Factors: Analysis of legal factors includes health and safety, equal opportunities, advertisements standards, consumer rights and laws etc ( D., Margea, C., Hurbean, L. & Artene, A.S. 2014). SWOT analysis is a business tool which analyse internal and external environment of the organisation. Strength: S stands for strength in this analysis. Strength means capabilities and resources of the company thorough which company can create its economic value and competitive advantage. Weakness: W stands for Weakness of the company. Weakness means a lack of resources or capabilities which prevent company in creating economic values or gaining competitive advantage. Opportunities: O stands for opportunities. Opportunities means receiving chances to improve weakness and performance of the company which helps in creating economic value of the company. Threat: T stands for threats. Threat means those forces aim of which is to reduce company’s performance and reduce its economic value also. These forces includes individual, group or government. So, with the use of these analysis tool company can ascertain the effect of macro environment on the organisations decision making (D., Margea, C., Hurbean, L. & Artene, A.S. 2014). D2) critically evaluate the impacts that both macro and micro factors have upon business objectives and decision-making. Investors: Investors are those personnel’s who provide financial resources to the organisation. If there is change in the interest of investors company’s financial policy decisions are affected. Worker: workers are the human resources without which company cannot work. So, workers have the direct impact on decision making of the company. Competitors: competitors who provides similar product or services to the customers can also affect policy decisions of the company. Competitor’s strategy should be considered before taking any decision by the management. Economic factors: Economic factors affect the policy decisions related with production and consumer. Price inflation, interest rates, exchange rates are the examples of economic factors. Natural Factors: Natural factors impact the organisation’s production policy decision. Natural factors include renewal and non renewal resources provided by the nature used as raw material by the organisation. Technological factors: It includes skill and knowledge applied to the production and changes in the technology of production. It impacts smooth running of the business. Social and Cultural factors: social and cultural factors are need to be considered before making decisions by the management. Product or service provided by the organisation impact the society should be considered by the organisation. Thus micro and macro environmental factors impact the organisation’s decision making policy. It has significant impact on the success of the business. So these factors should be considered during the policy decision making process by the management of the company (BANICA, L. & HAGIU, A. 2015). The report provides in depth knowledge of micro and macro environmental factors in which business organisation operates. It also describes different business analysis tools such as PESTEL and SWOT analysis which should be carried out by the strategy maker of the organisation. Andrejovská, A. & Bánociová, A. 2014, "Payment Discipline in Business Environment", Procedia Economics and Finance, vol. 15, pp. 1217-1224. BANICA, L. & HAGIU, A. 2015, "BIG DATA IN BUSINESS ENVIRONMENT", Scientific Bulletin : Economic Sciences, vol. 14, no. 1, pp. 79-86. D., Margea, C., Hurbean, L. & Artene, A.S. 2014, "Electronic Services for Business Environment", Procedia - Social and Behavioral Sciences, vol. 124, pp. 351-360. Gupta, J.L. 2013, "Economic and Business Environment", Vision: The Journal of Business Perspective, vol. 17, no. 1, pp. 83-85. Jacob, W. 2013, "Economic and Business Environment", Vision: The Journal of Business Perspective, vol. 17, no. 1, pp. 87-89. Jurigová, Z. 2016, "Tourism: New Destination of Global Business Environment", International Advances in Economic Research, vol. 22, no. 3, pp. 351-352. Pandey, A. 2013, "Economic and Business Environment", Vision: The Journal of Business Perspective, vol. 17, no. 1, pp. 85-87. Schirone, D.A. 2012, "Customers’ Behaviour Analysis in Furniture Field: IKEA Case in the Northern part of Bari province", Journal of Knowledge Management, vol. 2, no. 6, pp. 125-145.